The Ble live in southwestern Burkina Faso in a village west of Banfora and south of Sindou. 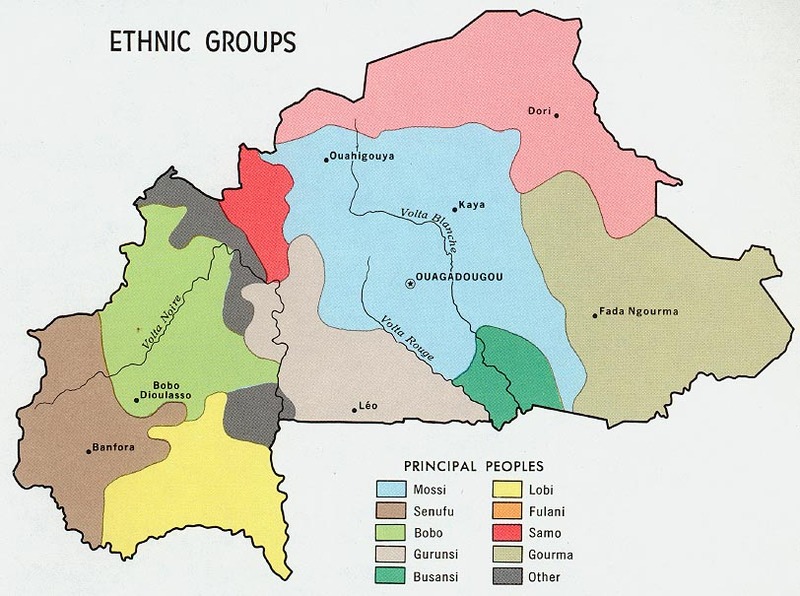 They are surrounded by many other ethnic groups, including the Turka, the Senoufo, the Noumou, the Natioro, and the Kiramba. Unlike Burkina's regions further north, the Ble have a fairly long rainy season, which should have a positive effect on farming, their main source of income. Yet the Ble remain rather poor and live in very modest conditions, similar to most rural burkinabe groups. Due to the fact that only one small village speaks Ble, the entire population has become bilingual in Jula. Jula is the trade language of southwestern Burkina Faso. The entire village of Bledougou is Muslim. According to the Ble, Islam has always been the prevailing religion. No Christian missionary work has been carried out among the people. * Scripture Prayers for the Ble, Jalkunan in Burkina Faso.